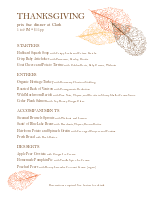 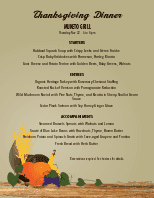 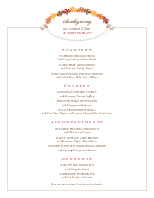 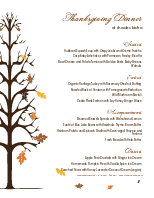 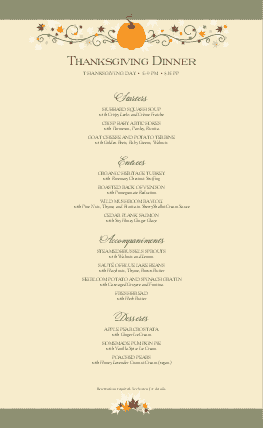 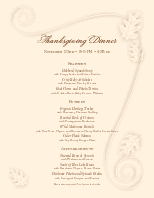 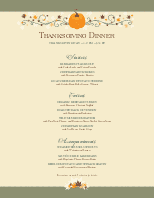 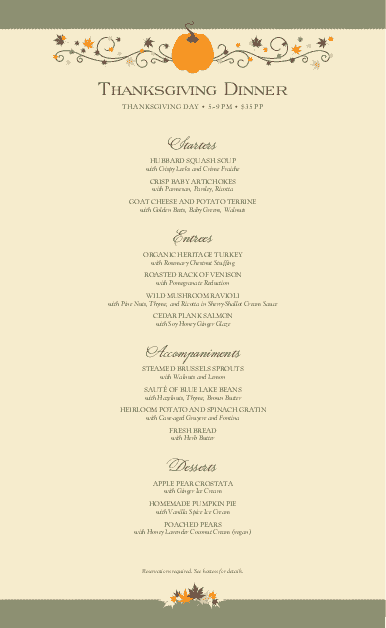 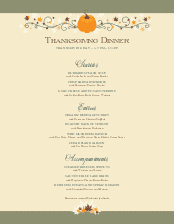 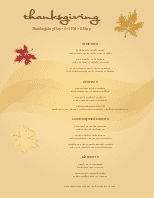 A traditional thanksgiving diner menu with a playful pumpkin flourish at the top. 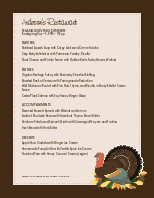 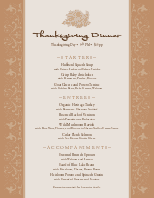 This thanksgiving holiday template features a thin green border with delicate leaf accents and a single column of Thanksgiving menu items with upscale flourishing headers. 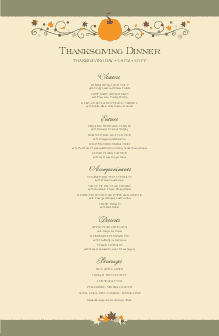 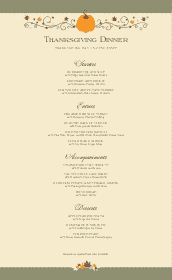 The letter-size holiday menu can be edited in the Menu Editor.